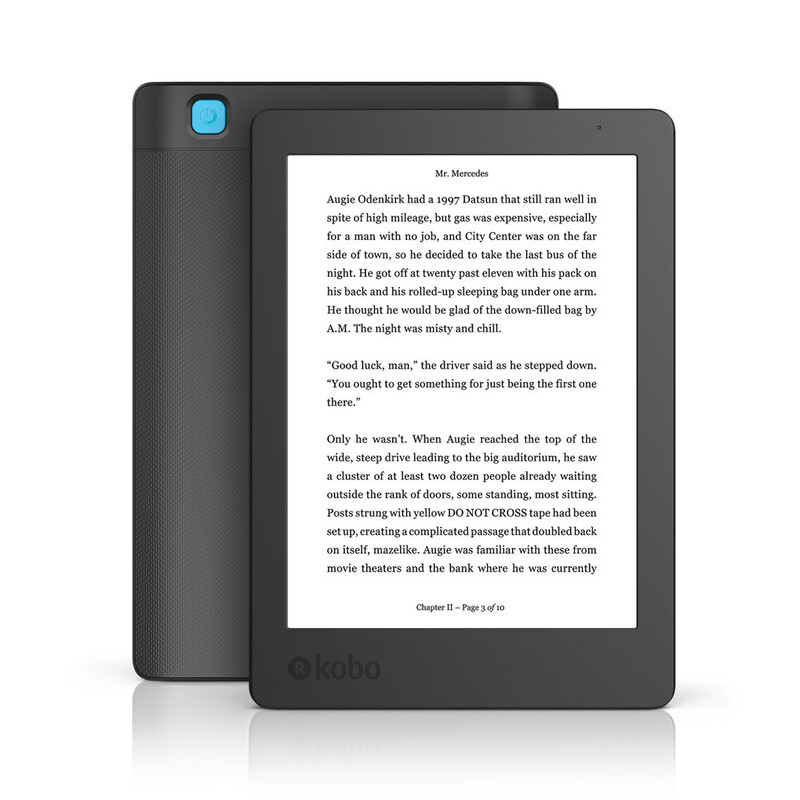 The Toronto-based manufacturer of eBook readers has released a second edition of the original Kobo Aura reader. The new Kobo Aura Edition 2 is a good choice for consumers that think the newly announced Aura One reader is a bit too pricey and are happy with a somewhat smaller-sized, mid-range reader. Kobo is reviving the original Aura and Aura HD readers that were released in 2013. How does the new Kobo Aura Edition 2 compare to Kobo Aura One? The storage capacity of 4 GB is only half of Aura One’s. It’s smaller than Aura One and measures 159 x 113 x 8.5 mm. It’s also 36% lighter and only weighs 180 gram despite housing a more powerful battery. The battery increases the usage time between charges to two months. The 6-inch screen has a 1024 x 768 resolution with 212 PPI. It’s not as sharp as Aura One’s screen and doesn’t allow for colour adjustments under dark light conditions using Comfortlight pro. Furthermore, Aura Edition 2 isn’t waterproof like Aura One. What about the price? The US price is US$1299.99, which converts to about NZ$210 with GST inclusive.